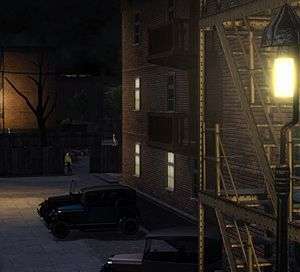 Omerta: City of Gangsters is a side-step away from the usual for Haemimont Games whose heritage lies in the well-known dictator sim franchise Tropico, and, having recently dabbled in adventure with The First Templar, Omerta: City of Gangsters is a game closer to what is arguably Haemimont’s strong suit. Rather than taking on the full responsibilities of a dictator and having shady characters do your dirty work, Omerta: City of Gangsters pushes you into the hands-on role of a mob boss, combining the management sim of running a gang with turn-based combat when things get heavy. Set in prohibition-hit 1920’s America – Atlantic City, to be precise – you assume the identity of a fresh-off-the-boat immigrant who has hopes of making it big and raising cash to afford to bring his brother to the US, too. Promptly getting shown the seedy underside of the world and losing all belongings in the process, your character decides to take an illegal route to success with the help of his best mate, ‘Squiggs’. The story elements are mostly played out through narrated slideshows between scenarios, with partially-voiced pop-up windows providing objective updates and plot elements during play. Guiding you through mission objectives is a mentor with a striking similarity to Dune’s Thurfir Hawat, he’ll be sure to tell you how to play the game and point out what to do next, both throughout the initial tutorial mission and the rest of the game. The plot to Omerta is an inoffensive and meandering one that holds little in the way of surprise or intrigue. Along the way you’ll meet a veritable smorgasbord of forgettable stereotypes that no doubt would spark 24 hours of Internet controversy if it was played by someone looking for a sensationalist article. I had a particular fondness for the drunken Irishman who always seemed to be after booze and guns. Honourable mentions should go to the spoiled aristocratic lady and the swindling Rabbi who almost always tries to cheat you on deals. I guess the large black man with a baseball bat – and the only henchman in a bright pink suit – should probably get a mention too, as you can actually control him. Naturally it goes without saying that these characters are accompanied by an appropriately stereotypical voice over! Despite the criticism that is bound to get levelled at this area of the game, it’s better than having an entire cast voiced by Nolan North with the same bland American accent. Despite lacking the humour found in the upbeat Tropico games, there are a few cultural/pop references thrown in for good measure. I had the pleasure of helping Italian brothers, one a portly chap called Mario and another thinner chap, Luigi, with a problem (if you don’t get that reference then stop reading and give yourself 50 lashes with the birch). On top of that I had to hire a suave chap called ‘Mr Wolf’ to clean up a situation (Pulp Fiction) as well as a charming couple-for-hire nicknamed Romeo and Juliet; I also unlocked a unique weapon named ‘The Sultan of Swing’ (Dire Straits). There are probably plenty more littered throughout the game that passed me by. As you attempt to rise to the position of ‘capo di tutti capi’ you will have to manage your empire and henchmen whilst staying one step ahead of rival gangs, police and the feds. The running of your ‘business’ takes up the majority of the game and, district by district, you work your way through Atlantic City. As with every business you need money. Money pays the henchmen, buys bribes, favours and information, plus it helps you expand. In Omerta there are two types of money: clean and dirty. Illegal operations such as underground boxing rings or protection rackets will generate dirty money whereas more above board establishments like hotels and pharmacies will generate clean money. Some activities, like purchasing construction lots, are only possible using one type of currency. There are opportunities to exchange dirty cash to clean cash by laundering money through accountants, officials or contacts. In addition to cold, hard cash there are other resources to aid your empire building. Beer, liquor and guns provide other ways to grease palms and fuel your business. Creating a steady influx of cash relies heavily on managing the finite number of buildings available and managing an ecosystem of supply and demand. You may build a couple of distilleries to supply your pharmacy business as well local independent nightclubs, for instance. Your warehouse is limited in space and so you will need to carefully manage stocks or risk having to sell excess at loss in a fire sale. There are ways to get more space, perhaps by buying a building to convert to a warehouse, but the trade off between a storage building and a building that makes money is sometimes a tough decision. In addition to resources are your ratings. There is a like, fear and heat rating. The like and fear ratings indicate how much influence you have over the district and bring with them small increases or decreases to some business activities while unlocking some new options (such as just sending the boys around rather than coughing up dough for information). The feared rating on the other hand is how much interest the law has taken in your activities and slowly raises over time, with certain actions boosting the journey to a five star rating (raiding other businesses for instance). Once five stars are reached then an investigation will ensue and you will need to bribe the investigators, destroy the evidence or frame another business. Should you fail to address an investigation then this is the only way (aside from failing one of the few plot critical combat scenarios) that the game will end. This point was raised by Lorna in a previous preview and hasn’t had any further alterations, so it remains that the lack of punishment for screwing up will undoubtedly strip most players of any real fear of failure. Outfitted with a fairly minimal UI consisting of a resource bar, henchmen portraits and a mini-map, the campaign screen is a slightly isometric top-down view of the district for the current mission. You can zoom in and get a close look at people as they go about your business, but apart from viewing the odd party or drive-by I tended to stay zoomed out so that I could flick around the map to keep tabs on resources, buildings, etc. Though by no means huge in size, the level of detail put into each map is quite impressive and very reminiscent of the Tropico titles even though it may be wasted for the 75% of the game that you spend at full zoom. As mentioned above there are only a finite number of buildings on each map that are available as suitable places to start a business – usually between ten and fifteen in total, split between joints, premises and construction sites. This can get pretty restrictive at times, despite being able to buy practically any other building on the map with clean money to rent out to tenants (sadly by the time you make your investment back in rent on these then you’ll have completed the scenario). There is also no way to track what you’ve got in your roster of businesses other than scrolling around the map, which was terrible when I had many things happening at once and every activity a henchman completed kept centering the camera back on the HQ building. Your HQ acts as a safehouse and like all establishments you can create, it has a number of upgrades. Upgrading your safehouse will provide benefits and allow creation of higher tier, large cash generating establishments like casinos and labour unions. Upgrading individual businesses will also provide benefits such as increased efficiency or improving like/fear ratings. As if running around the map doing deals and knocking out the competition wasn’t enough there are jobs that are accessible from an icon under the mini-map. These range from supply and demand deals for resources through to money laundering or special offers like reducing heat ratings. Each activity, both in the district and for special deals via the jobs screen, will occupy a henchman for the duration of that activity. With between two and a maximum of six gangsters to play with at one time, plus the short lifespan of many job offers, it can become pretty hectic as you wheel and deal your way to quick cash. There is also a chance the end result of the job doesn’t quite go as planned; this could be a Rabbi demanding a price so cheap it’s a loss or getting a bonus to cash or ratings for a job well done. Despite being engaging and, at times, quite frantic, it is almost impossible to do badly and I was swimming with cash by then end of almost every mission, especially as there is no real threat to any business once it is setup – unlike your competitors who are susceptible to your drive-bys. Having enemies with claws in this side of the game would have made the experience so much more tense. The batch of constantly recycled henchman catchphrases grate after 22 hours of campaign play, too. Inevitably you will get drawn into fighting it out with a rival gang or the authorities and this is where the turn-based combat portion of the game comes into play. I imagine many may label it as an ‘XCOM lite’ but to do so would be an injustice to the undisputed king of turn-based strategy games. The turn based mechanic in Omerta is derived from character attributes and so the lineup of play is a mish-mash of human and AI moves, more akin to some of the JRPG battle systems rather than moving your entire team and then ending the turn. 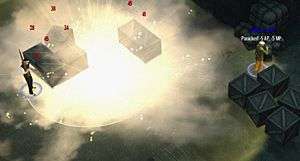 Each character has points for movement and actions in separate pots which are used, unsurprisingly, for moving about and taking shots at the enemy. In addition to the three combat options offered by weapons there are up to three (depending on level) talents that your characters can have. These can range from a heal (the doc) to throwing a grenade or boosting action points. Moving characters about is a simple affair with a double-click movement. A single click will path out the route to the destination and also show any sightings of enemies along the way along with the movement points required to reach it, then a second click to confirm. Cover mechanics are in play as well as a morale system, however neither really work too well. Cover is at best sporadic and poorly placed; for instance, one side of an object may provide cover but the other side inexplicably doesn’t, which isn’t helpful when the enemy is on the side that does actually provide cover. Moving into cover can also be challenging at times, with some opportunities for cover overlapping and making it difficult to select the correct one, not to mention that sometimes the animation for being in cover doesn’t trigger, and without a set grid or ‘block’ of space per movement it leaves you wondering if your character actually is in cover, despite standing next to the object. The morale system is just as woolly, in some ways a bit like the new 2k version of XCOM, where soldiers suddenly panic for no real reason. I could see it linked to the stats of the characters in terms of how much courage a gangster has and getting shot would lower the courage levels but I found altogether too many mad panic events took place. 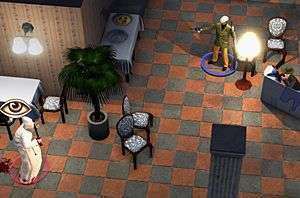 It was gladdening to see that Haemimont added some destructible objects to the game, although mostly chairs and crates, but it did add a little additional tactical strategy to the combat. Sadly destructible objects couldn’t rescue the combat from mostly being a purely random chance of being victorious. 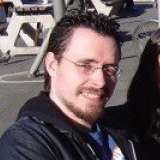 Regularly missing 90%+ chances to hit with a weapon, strange percentage chances to hit and damage that seemed overly high compared to the hit-points of people in combat made every scenario a pot luck in survival. Although there is no permadeath and a gangster dying in combat actually only results in a lingering wound, a total fail of a combat round often has no other effect, and if you’re going up against the authorities then a fail may land people in prison (you can then go break them out in another combat session). Weapons in Omerta are fairly limited and fall into either ranged or melee. A choice of knuckle dusters, bat or knife for melee and pistol, revolvers, rifle, shotgun or tommy gun for ranged. On paper each weapon has benefits and a purpose although in combat these are not often fully realised. For instance, melee weapon wielding gangsters are often shot apart before they reach their target and, thanks to a radius where even if an enemy is facing the other way they become aware of you, it is impossible to get in a sneak beating. It is worth exploring the various weapons and tailoring character perks to match, however the overarching issues with combat soon had me auto-resolving all but the enforced-combat situations due to the lack of real tactical/strategic capability. As you progress through the game the gangsters level up and, depending on their character stats, access will be opened to certain perks. There are absolutely too many to choose from and you’re spoiled for choice much of the time, however there are a few that I rolled out to every ranged or melee character. In boiling down the combat to be accessible, Omerta also lost that which makes this type of combat enjoyable. Sadly, almost everything boils down to luck and thus becomes pointless for any strategist, especially when a decent cover and panic system, plus a little balancing, could have turned this into a bit of a gem. Clocking at just under 22 hours, my campaign playthrough was fairly enjoyable but due to the linear nature of the missions and lack of opposition it wouldn’t be one I’d replay multiple times. 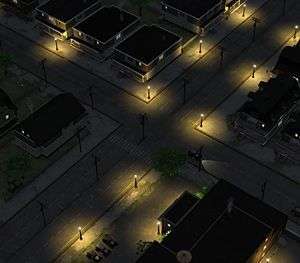 Many of the combat mission maps are used multiple times – it seems every bank and police station were identical in 1920’s Atlantic City – and once you had a plan for the way to set up your businesses there was no need to deviate from that formula for 90% of the game. Sadly it made most campaign missions an exercise in repetition. Hopeful that the Sandbox mode would add an extra layer of freedom and excitement, perhaps against enemy AI mob bosses who had the same powers as the player to enact drive-bys and buyouts, etc., I was soon confused as to what the point of the mode actually was. It’s basically one of four districts you can choose from and plays out like a campaign map but without any objectives. No competition, no objectives, just setup business and watch money roll in for no ultimate purpose – one of the oddest sandbox modes I’ve played. Perhaps then it would be the multiplayer that would be the crowning glory of Omerta: City of Gangsters. Offering both co-op and vs modes I was initially excited by this, then I noticed there were only four scenarios, two of each. I tried some versus matches, two people each with four gangsters duking it out in straight up deathmatch or another map where you are trying to get to the loot and escape first. They played exactly as the single player except each player gets 60 seconds per move. Should an opponent player quit then you get the win. There is a multiplayer levelling system, each attempt (co-op) or victory rewards you with cash which is then used to unlock the henchmen from the campaign and purchase better weapons. It may have a few people coming back but with just four scenarios to choose from it gets stale very quickly. At least the matching process was relatively painless and there was little in the way of lag. The co-op games probably have the most promise for a couple of friends working together as the difficulty with a starting group of gangsters is brutal. I’ve yet to successfully complete one. 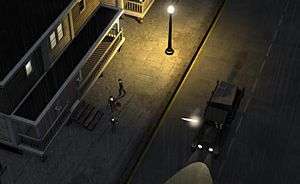 Overall, Omerta: City of Gangsters has a great concept behind it. The marrying of two of my favourite genres had me hopeful this would turn out to be a surprise early gem of 2013 but, sadly, this is one of those occasions where the sum of the parts are not greater than the whole. It’s difficult to say what happened. Things like the iffy cover mechanic, the character setup and stat system, sandbox mode and the bizarrely high detail on district maps when zoomed in suggest that something bigger was possibly planned and then stripped right back, resulting in a game that lost a lot of its intended bite. Much as it pains me to admit it, Haemimont Games managed to produce a game with few bugs, seemingly well polished in most areas but lacking heart and real depth. 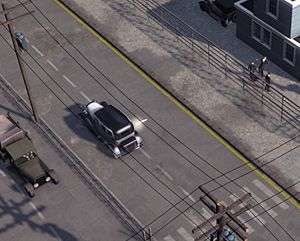 Unfortunately Omerta: City of Gangsters is a game that fails to break itself away from the average crowd. It isn’t unenjoyable to play, I actually enjoyed most of the game, lolling between frantic spurts of activity with henchmen and more relaxed points of letting time tick on by, but ultimately that isn’t enough when the disappointing areas begin to stack up and become more obvious the more you play. I hope that Haemimont get a second bite at the cherry as this had fantastic potential, it’s just that this time around they shot wide of the mark and failed to ‘take the jam outta my doughnut’ as my best mate and henchman Squiggs would put it. Despite the issues, I like the fact that it looks like a proper PC game from like 13 years ago. 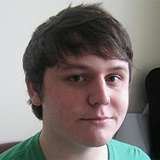 If I ever get my PC sorted this’ll be on the list. I really wanted to get a hold of this, but if there’s no real consequences for your actions and the combat’s not as X-COMmy as I thought, I might give this a pass!